The new year has begun and that means I have goals that I want to achieve! One huge goal of mine is keeping my teeth white and vibrant. 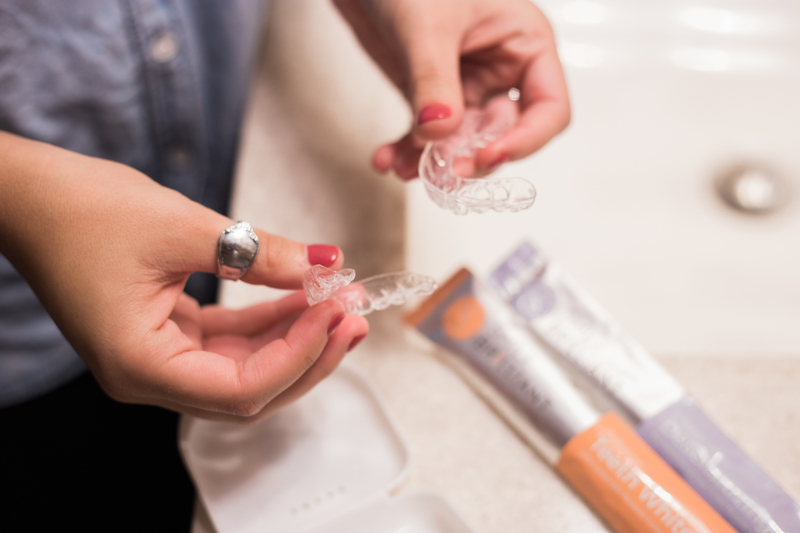 I found the perfect solution by partnering up with Smile Brilliant. 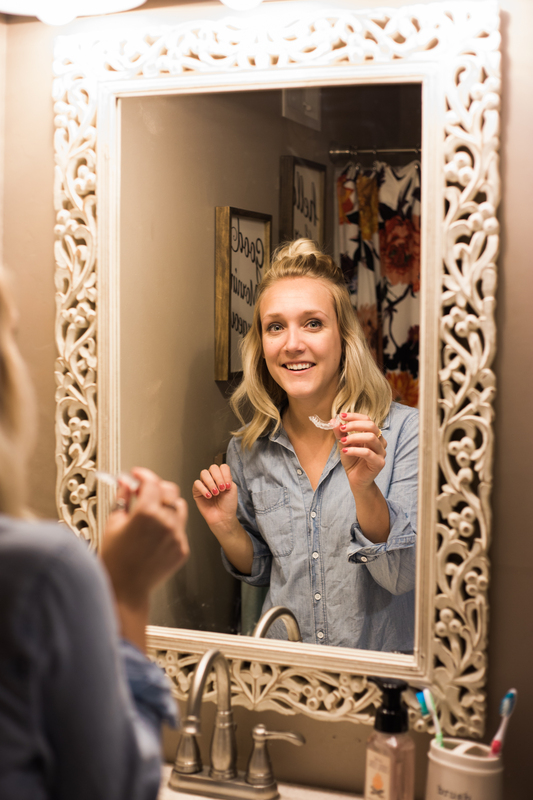 Keep scrolling to see my results and why I have added to this to the weekly routine to see what my secret is to keep my teeth staying bright <3 It is so easy! 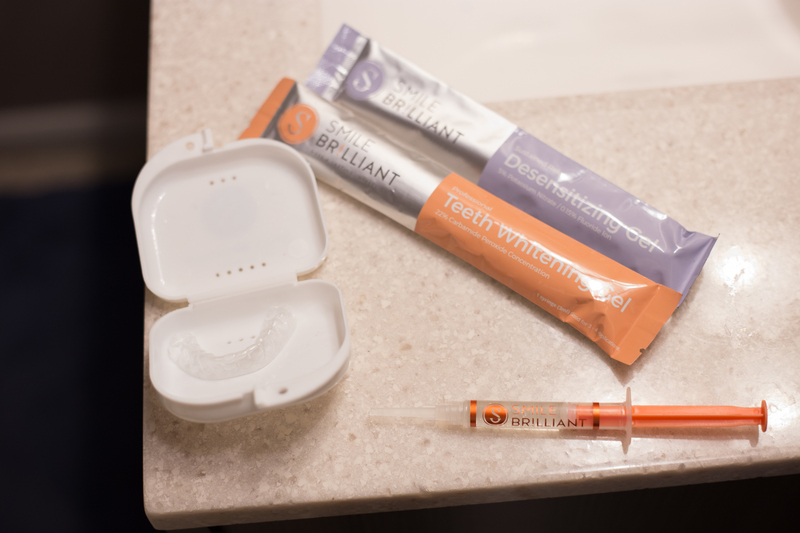 Smile Brilliant is an easy and affordable way to whiten your teeth in the comfort of your own home. The process is super easy! I never feel like I have time to do anything before heading to work and getting home so this process was perfect for me! 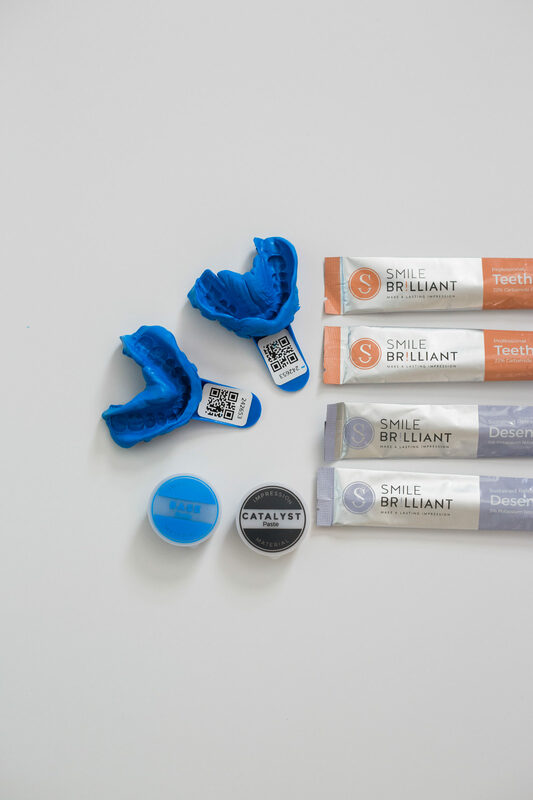 Smile Brilliant will send you a kit, you will make impressions with the mold to make your own retainers. As soon as that process is done you send them out, they arrive about 7-10 days after you send it out. 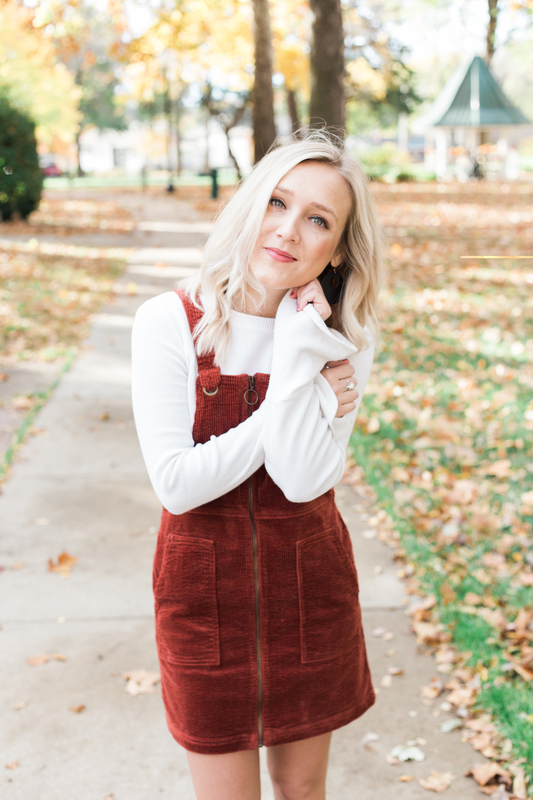 I am always trying to find ways to keep my teeth brighter for the holiday season, especially with how many pictures get taken I always look at my teeth! 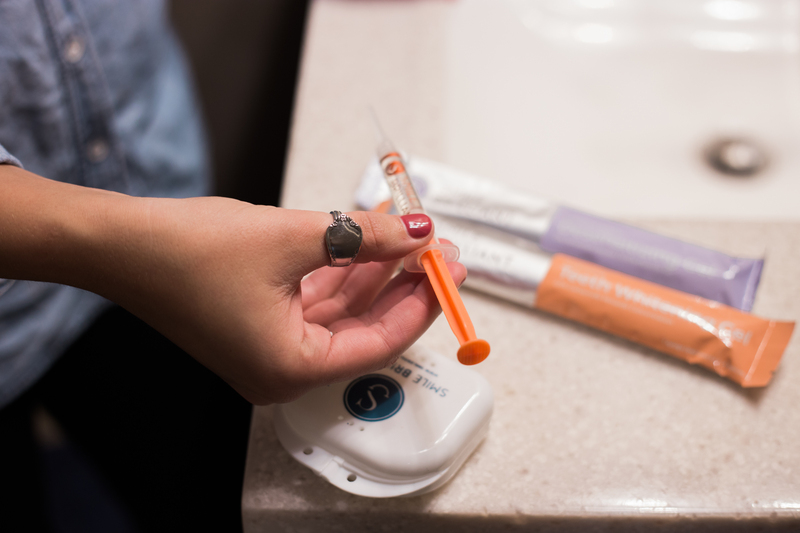 The orange is the whitening gel, I did mine every other day for the first week and then about 2-3 times a week and now just do it 1-2 times a week to maintain the brightness. 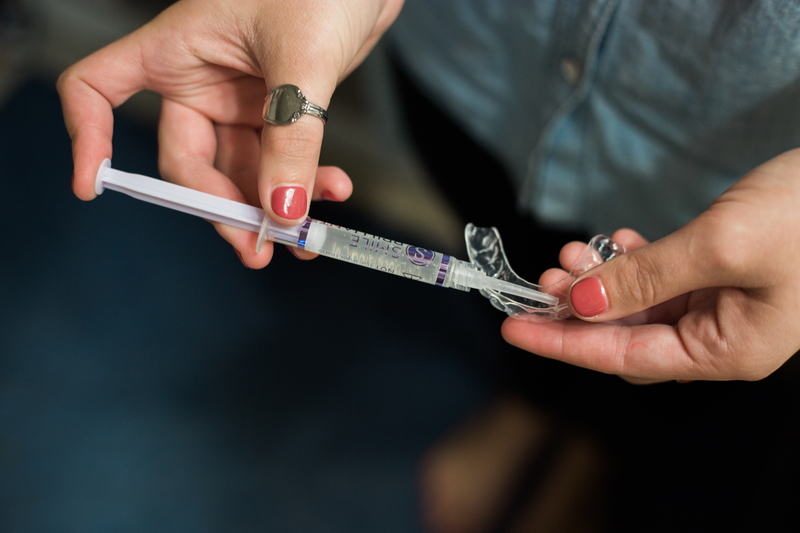 The purple labels are the sensitizing gel that helps if your teeth become sensitive. You would do if after you apply the whitening gel. I personally have sensitive teeth so just to be cautious I did use the sensitizing gel. 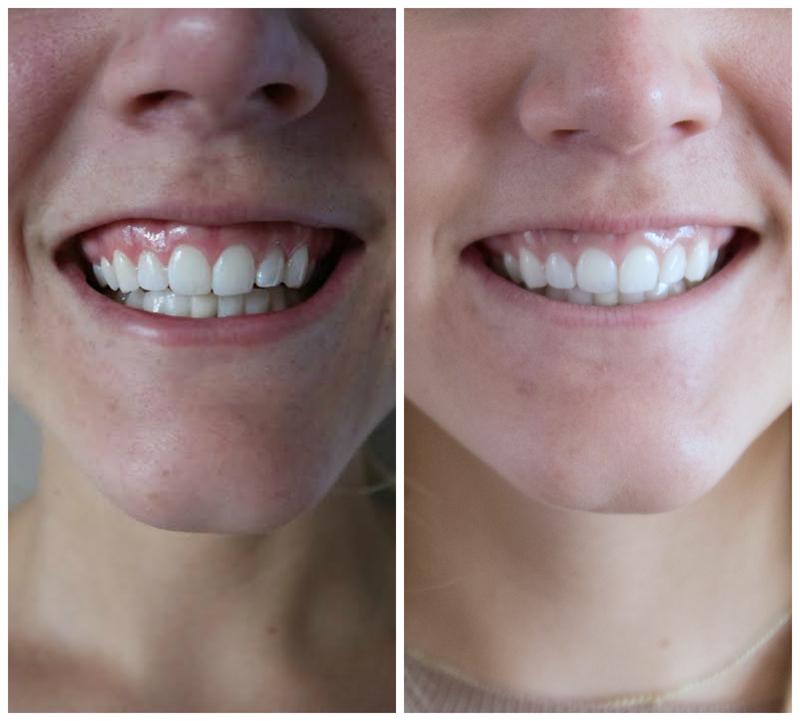 My before and after, as you can see my teeth already were pretty white this process just made my teeth a little brighter and great for maintaining brightness. 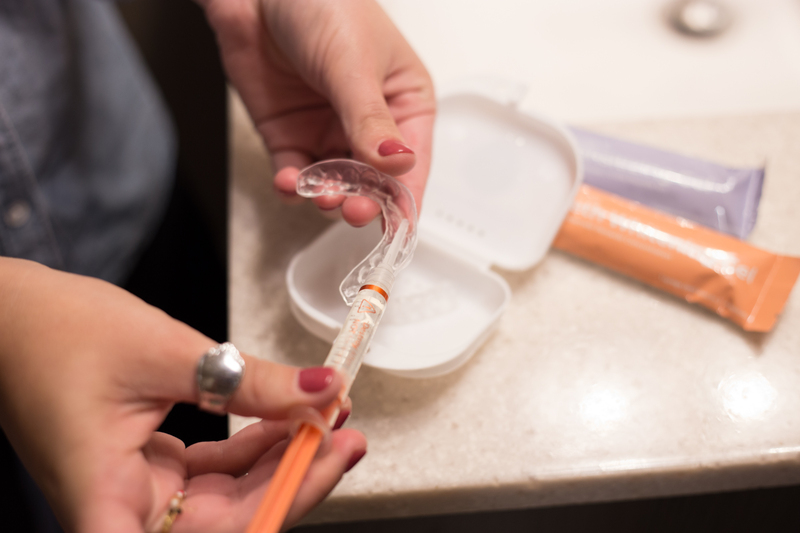 Want to know how you can get a Smile Brilliant kit?! 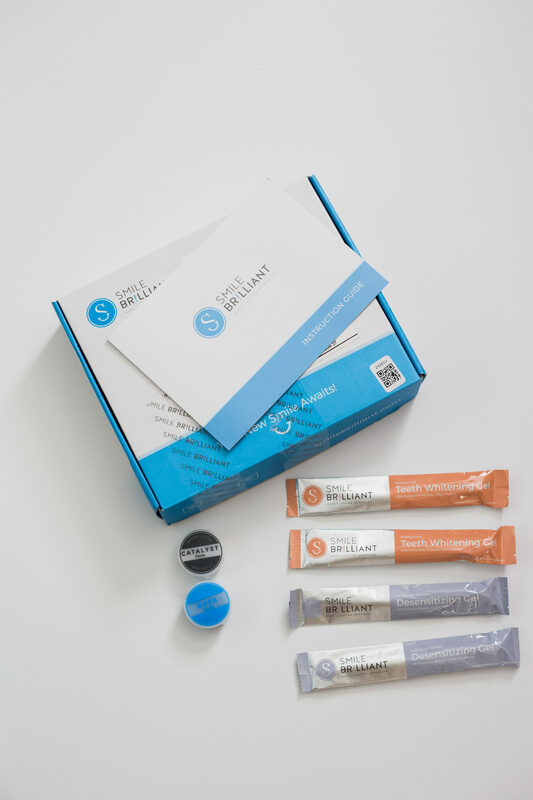 Well, you are in luck, Smile Brilliant and I have partnered up to giveaway a T3 Sensitive Kit Valued at $139 all you have to do is enter by clicking the link below! *Giveaway is open for two weeks. They MUST enter through the link to be counted. Giveaway is for $139 credit- and is open to USA, UK, Canada, and Australia residents.